Unication – The Home of Great Leaders! The Home of Great Leaders! Hey guys,I’m back again but I am not sure what to do at this very moment,since the purpose of my blog is done I am not sure of whether to stop my blog or continue leave a comment on what you think I should do. You can also suggest on changing the subject of my blog. Should this plane be my blog. Hey guys,welcome back to my blog. I am so sorry about all the posts I gave out. The reason I did that was because I was supposed to accomplish 24 posts on WordPress or else I would get punished.This is my 24th post so please accept my request for forgiveness. Today I would be educating you with R.E. To all the people I followed from a comment on Godly Chic Diaries this subject is for you. In R.E I have been learning about the Extended family,that is currently what I am learning in R.E. So far I learnt that an Extended family is a type of family in which relatives in addition to parents and children (such as grandparents, aunts, uncles, and cousins) live in a single household. There are many advantages and disadvantages of the Extended family but today is only advantages. It reduces the probability of arguments. It reduces the probability of laziness. It helps share properties easier. Thank you guys I’m signing off. Hey guys,welcome back to my blog and now I would be educating you about History. In History I have been learning about William the Conqueror. So far we have only learnt a bit about him so I would try the best I can to explain it. William the Conqueror was the first Norman king of England,since he was not from England he did not know what they were feeling.He did not know much about their culture and I am sure he did not know much about their language. He was known as the Duke Of Normandy.William the conqueror was king of England from 1066 after the battle of Hastings. 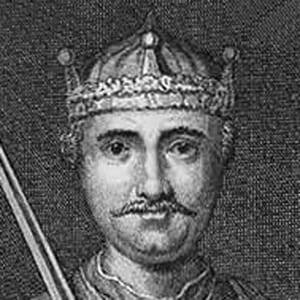 William ruled England until his death,on September 9,1087. Hey guys,I am here again to educate about something that I have been learning about in ICT. This topic is useful for everyone especially accountants,today we are going find what the topics name is and teach you guys how to use it. Today’s topic is about Spreadsheets and how to use Exel. If you knew I would write this you could just have write your comment below.What I have learnt so far in excel is. $C$B. So I would be talking about more but first “what is the use of excel?” You can put that in the comments section below. Now I am going to be showing you a row and a column. Finally I am going to tell you about a cell reference. A cell reference consist of the the column letter and a row number,here is a picture to help you to understand what it is. Hey guys,you’re all welcome back to my blog. Today’s topic would be on Mathematics. What i have learnt so far in mathematics is about coordinates and using a graph book. During normal lessons we use our classwork books but so far we have been use the graph book due to the coordinates topic. There is a specific process to draw the graph used for coordinates. First you have to find the line of intercession when drawing a vertical line and a horizontal line. After you are done you start labeling the vertical line is called the x axis and the horizontal is the y axis. Here is a picture to help you with it. That’s all I have to show for now I’m signing off. Hey guys,today we are going to be talking about Geography and in Geography I have been learning about Weathering. So far weathering has been the easiest subject in Geography and I hope it stays that way. Since I came here to educate you and not to crack jokes I am going to begin my lesson. So far I have learnt that Weathering is the breaking down of rocks by physical,chemical or biological process. Weathering mostly takes place on site,so there is no movement involved.Physical weathering breakers down rock surfaces and here are examples of them. Freeze Thaw weathering takes place in temperate climate. During this process water gets trapped in cracks in a rock. During the day the ice melts and contracts,releasing pressure on the rock cracks. Alternating expansion and contraction weakens the rock and pieces break off. This is called Frost Shattering. The piles of rock left over are known as scree. During this period surface layers of rock heat up and expand.At night cold makes the m contract,this causes thin layers to peel off. This process usually takes place in the desert but it peels off layers off rock until all is gone. This process is called Onion Skin Weathering because it breakers up in layers and has layers like an onion. Goodbye I’m signing off,been long since I used that phrase,well changes happen. Hey guys, I have come back again with a 196 questionnaire due to the number of views I have got so far. So now you know I have 196 views and these questions are going to be about every single post I have released, almost all. I am doing this to test you on what you have been taught about throughout my months of teaching you and more to test your general knowledge. You can answer the questions by writing the question number in the comments and give out the answer. I would be releasing ten questions a day. 1 How does day and night occur? 2 Who died on the cross to save us? 3 Name one football skill. 4 How many degrees does the earth have to turn during rotation? 5 What is a Biome? 7 What do we have to do before the end times. 8 Why does one country experience day and the other night? 9 What scripture did I use for my morning devotion? 10 Would you renounce Jesus and go to hell or not? 11 How many minutes make a day? 12 What does a cell reference consist of? 13 Which country was William the conqueror from?